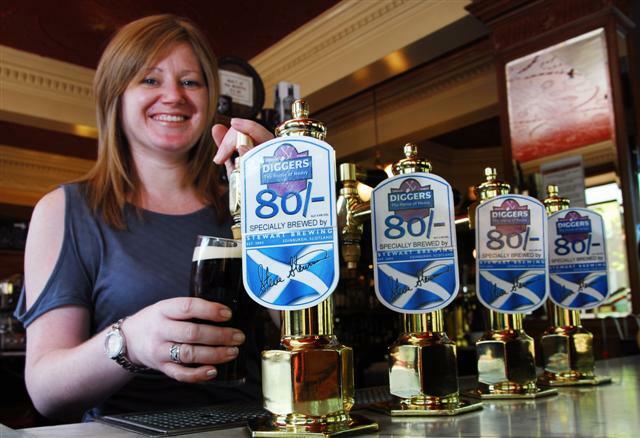 PLANS to let Scots pub staff drink alcohol after closing time have been thrown out amid fears they could open a loophole in the law leading to illegal “lock-ins”. The idea was raised in the Scottish Parliament today (Tuesday) by Bill Aitken MSP, who hit out at government “killjoys” for shunning his plan. Justice secretary Kenny MacAskill said police were already busy enough when pubs close without having to monitor bar staff having a tipple. He said: “What I am suggesting is simply that once the doors are closed and the premises are no longer a public house, it is appropriate for those to be given a drink on a non-commercial basis by those for whom they work. “People who work in the licensed trade, like any of the rest of us, do have the view that they are entitled to a refreshment after a hard shift. “Many people in the licensed trade work very hard but the time that they require to finish work is very late in the evening. “The choices they are left with is either to drink in the home, which is not very sociable, or to go to a pub which can be pricey. Former council worker and current Livingston MSP Angela Constance refused to vote for the plan. And Labour’s Glasgow Anniesland MSP Bill Butler raised fears landlords could exploit a rule change to make extra money on the side. But if the plan was introduced, police would struggle to deal with checking up on whether after-hours drinkers are staff members or not, according to Mr MacAskill. The SNP justice secretary said his party had consulted with the Association of Chief Police Officers in Scotland before deciding on the move. He said: “We can appreciate that employers may wish to reward their staff after a day’s trading with the ability to allow their staff to have a drink at the end of the prescribed licensing hours. “However, we have consulted with police and ACPOS and we support their view that the effect of this amendment would be to open a loophole which would be open to abuse. “It would be difficult for police to confirm whether the people drinking on the premises after licensed hours are doing so legitimately or whether there has been a breach. After seeing his proposal shot down by seven votes to one in the justice committee, Mr Aitken said he was “deeply depressed” at the stance taken by other MSPs. He said: “I find it deeply depressing that the cabinet secretary, a man who has been known himself to socialise from time to time should be taking this harsh view and basically doctrinal approach to those who should be seeking to have a refreshment at the end of the day. “Unfortunately for the licensed trade the views of the killjoys predominate. “It would not be a lengthy exercise for the police.